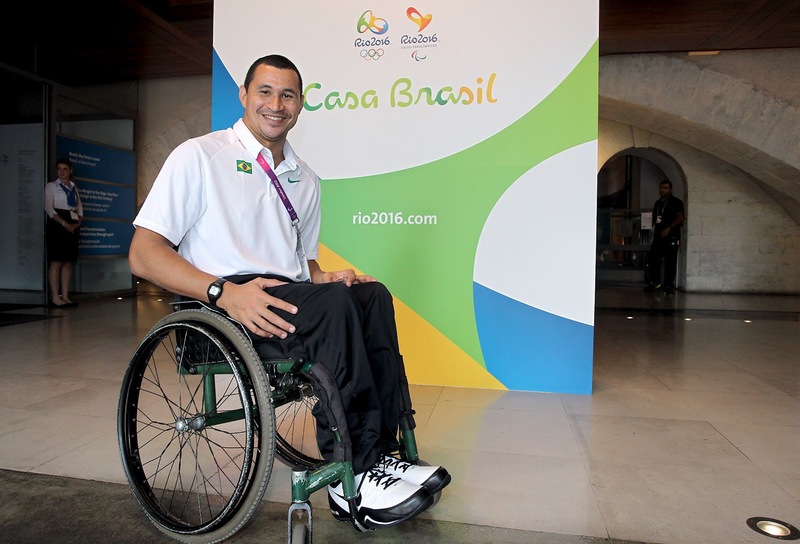 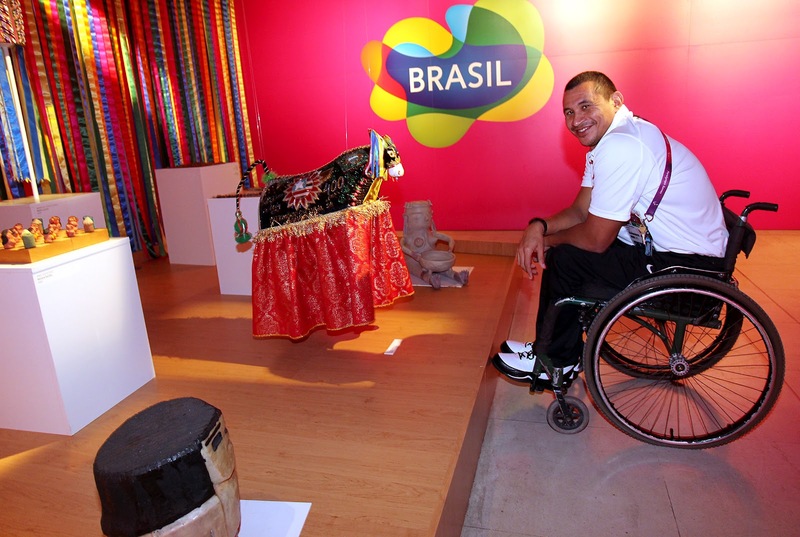 The Paralympic mega-champion Clodoaldo Silva paid a visit to the Brazilian exhibitions at Casa Brasil, at Somerset House in London this Tuesday. 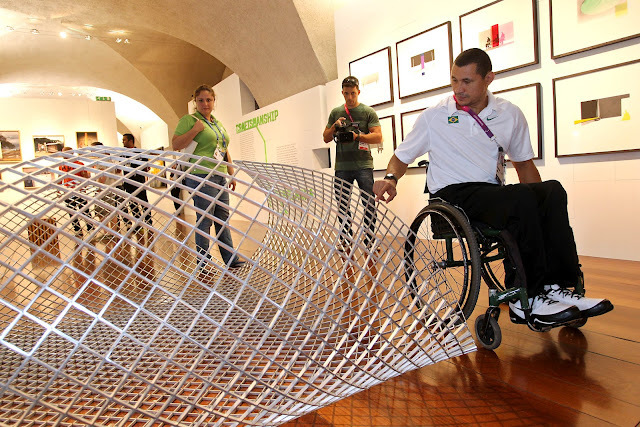 The athlete, who holds the greater number of Paralympic medals amongst Brazilians, next to the former sprinter Ádria Santos, checked out the contemporary arts and design exhibition “From the Margin to the Edge”. 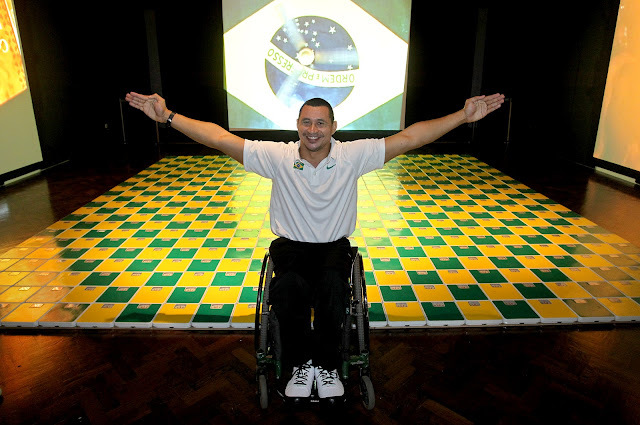 Since Beijing 2008, Clodoaldo has been competing in the S5 sport class category. In the latest edition of the Paralympic Games where he competed in the S4 category at the Athens Games in 2004, he won six gold medals. 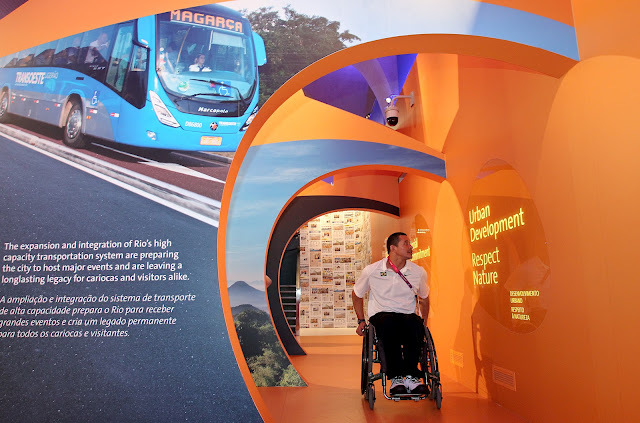 Finally, the athlete has visited the exhibition “Passion and Transformation” that shows the transformation process that Rio de Janeiro is going through since it has been elected host city for the 2016 Olympic and Paralympic Games.